ReadyCap Lending has completed the securitization and sale of $115 million of the unguaranteed interest of SBA 7(a) small business loans — the first securitization since the recession. 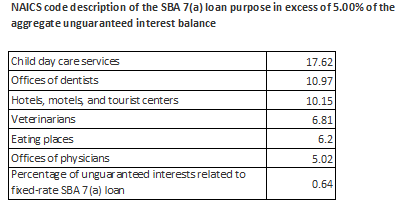 The loans were originated by CIT Small Business Lending Capital. ReadyCap acquired the loan portfolio when they purchased the CIT SBLC license. Standard and Poor’s assigned a AAA rating to ReadyCap Lending’s trust notes – the highest credit rating available from the organization. 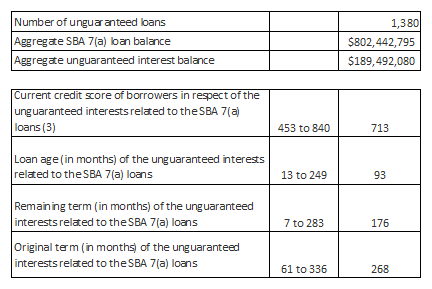 The notes are collateralized by the right to receive payments and other recoveries from the unguaranteed interests of SBA 7(a) loans held by ReadyCap Lending. Further, S&P notes, “the experience of ReadyCap Lending LLC’s management professionals, many of whom have more than 20 years of experience in the sector” contributed to the rating agency’s rationale for the assigned rating.